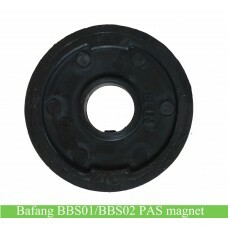 Bafang provides two types pinion gears to us; we identify them by shaft diamter of the iron gear. 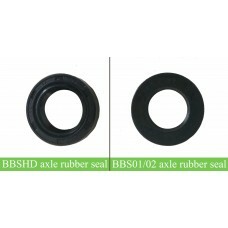 The old version(BBS01/BBS02) is 10mm diameter for shaft and the new version(BBS01B/BBS02B) is 12mm diameter. Please check carefully when ordering the BBS spare parts. 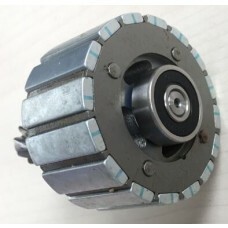 Bafang no longer stock the 10mm pinion gear and we now only have the 12mm pinion gear available, please be noted. 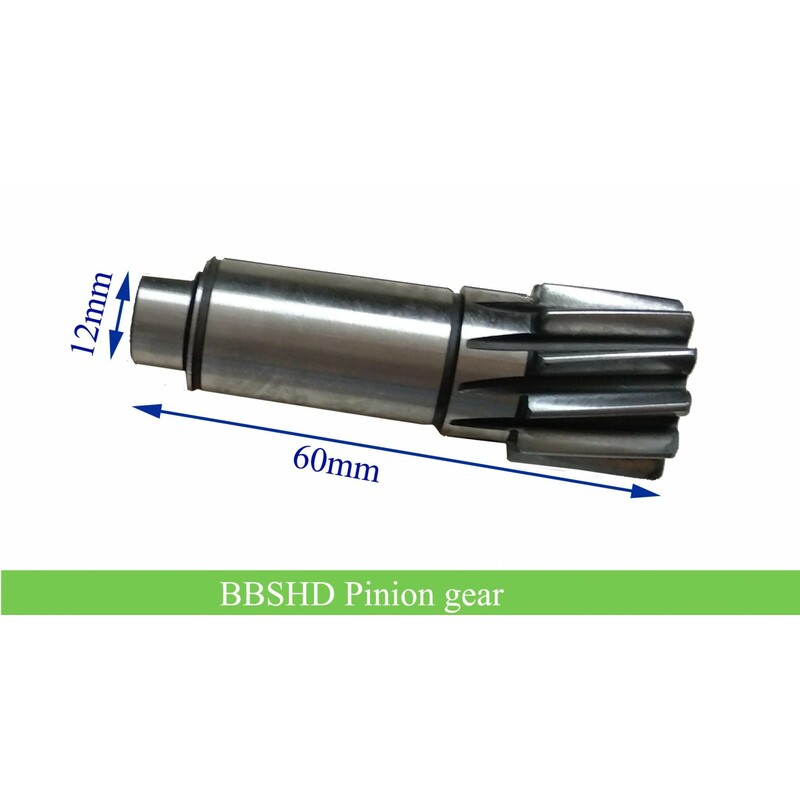 Bafang BBSHD iron pinion gear is also available now. We will provide grease with the pinion gear freely, It would be better to add some grease when replacing the new pinion gear. 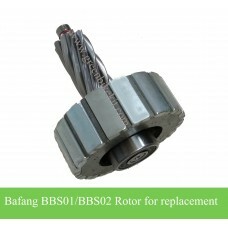 We currently have two types pinion gears provided by Bafang. We identify them by the shaft diameter, the older version is 10mm diameter and the new version pinion gear for bbs kit is 12mm for the shaft. If you don't understand, please check picture illustration on our website. 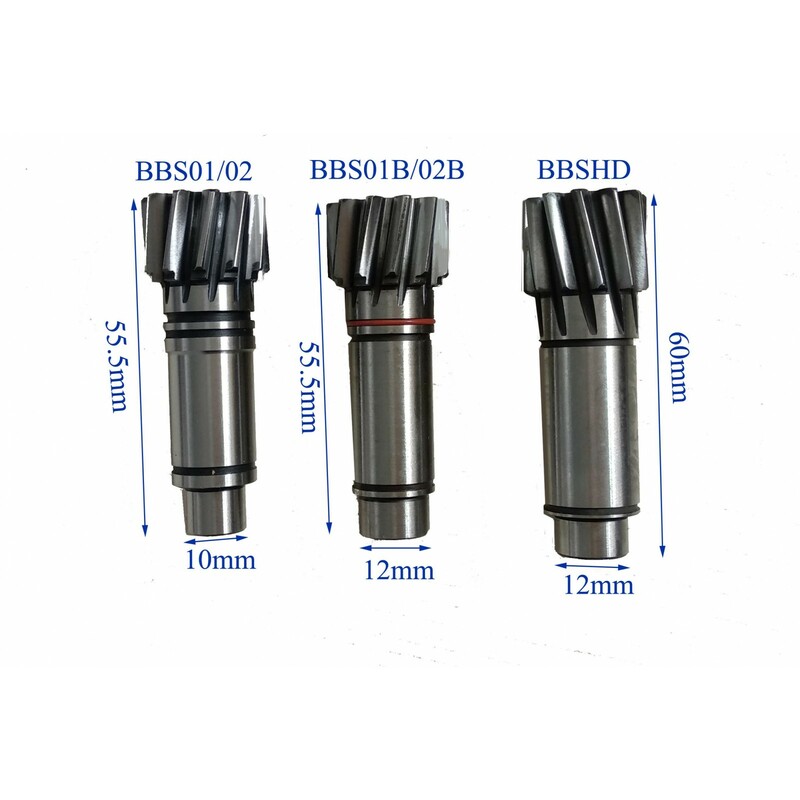 Please check the shaft diameter for your own pinion gear before purchasing. We guess you can also identify the old and new version by the kit model, BBS01 and BBS02 are the old version; BBS01B and BBS02B are the new version bbs kits. If you don't know how to identify your bbs kit is the old or new version, please send us email. We now only have the 12mm pinion gears for BBS01B/BBS02B kits, please be noted. We just received the iron pinion gears for BBSHD from Bafang. If your pinion gear needs to be replaced, you can order now. 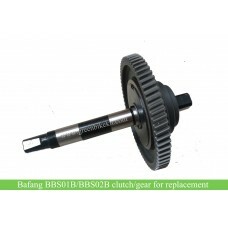 Review "Bafang bbs01B/bbs02B/BBSHD kit pinion gear for replacement"